Some people want to reserve judgment on Teofimo Lopez, which makes sense. He has fought only 12 times as a professional. We won’t know how good he truly is for at least two or three more fights. And he probably shouldn’t be described as a star quite yet. Again, too few outings. He might pack arenas (stadiums?) and be featured on pay-per-view shows one day but we can’t be certain about that. 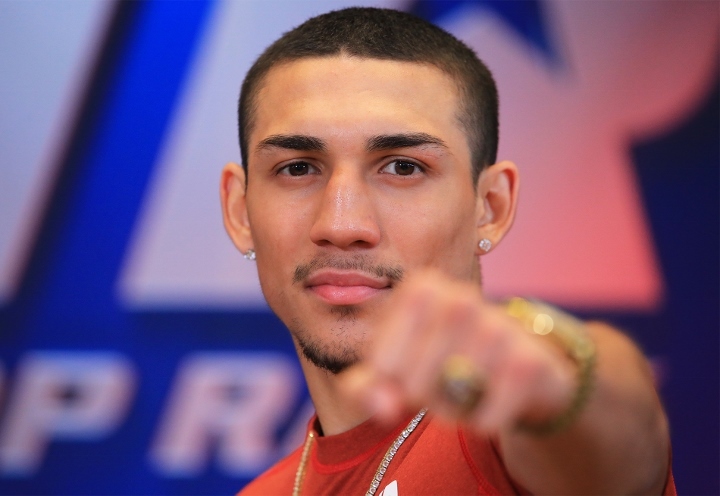 This is what we know now: Teofimo Lopez has the boxing world abuzz, a phenomenon that is reserved for few boxers – even those with much more substantial track records – in each generation. In other words, the beast has been unleashed. Many fighters have high knockout percentages but Lopez’s stoppages are different somehow. In December, he gave us a one-punch version. An overhand right instantly rendered capable Mason Menard unconscious and took our collective breath away in the process. And on the Sergey Kovalev-Eleider Alvarez card last Saturday, he gave us a prolonged-beating version. Veteran Diego Magdaleno managed to last six-plus rounds before two left hooks took him out. Those are the kind of knockouts that people remember. And Lopez’s list of them is growing. The ability to stop opponents isn’t enough to engender the excitement that surrounds Lopez, though. His demeanour and his post-KO celebrations are also key to his rapid rise in our consciousness. The viciousness with which he tore apart Magdaleno reminded me of Roberto Duran, a cold, calculating assassin with no sympathy for his victims. That said, Lopez’s gesture probably enhanced his growing image as an unapologetic killer, a la Duran. Again, that might be unsettling for some, but it taps into fans’ primal desires. The celebrations are just fun. The back flips are his trademark. Fans seem to love the “Fortnight” dances. And the Heisman Trophy pose in the ring, to honour 2018 winner Kyler Murray, undoubtedly amused the many boxing fans who also like football. In other words, he understands the value of entertainment and knows how to provide it. The combination of these factors – the knockouts, the menacing presence and the celebrations – have sparked an undue amount of interest in a fighter who only turned pro in November 2016. “He stands out because nobody expected him to excel this early,” Bob Arum, his promoter, told ESPN.com. Of course, Lopez’s ultimate success or failure is predicated on what he does in the ring. The Honduran-American, who is trained by his father, Teofimo Sr., seems to have all the tools required to succeed. One might forget amid the knockouts that he can box, which is in part a product of his substantial amateur career. And he has the kind of hand speed that makes it difficult to see those crazy punches coming. There are no guarantees, though. Menard and Magdaleno are good fighters but not the tests Lopez must pass to join the best of the best in boxing. Those lie ahead. A lightweight title fight could come as soon as this year. 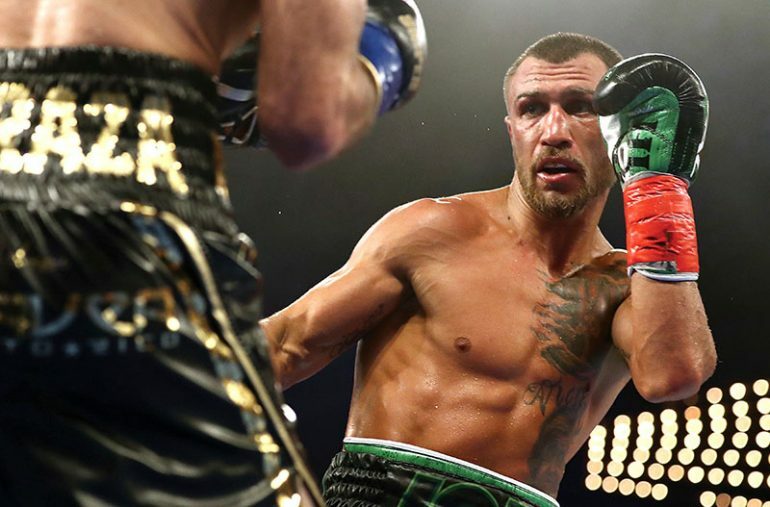 That could be for the WBC version if Mikey Garcia vacates after his welterweight showdown with Errol Spence or one of the belts belonging to Vasyl Lomachenko – yes, THAT Vasyl Lomachenko – if the Ukrainian wins his April 12 fight against an undetermined opponent. 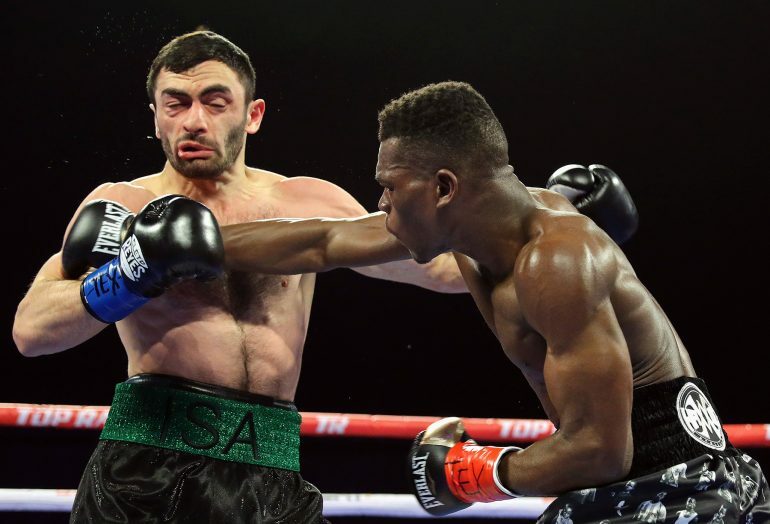 Freshly-minted IBF lightweight king, Ghana’s Richard Commey, the stipulated opponent for the Ukrainian icon, suffered a knuckle ligament injury in his championship fight with Russian Isa Chaniev, whom he destroyed in two rounds at The Star, the Dallas CowBoys’ training facility in Frisco, Texas, Feb. 2. Lou DiBella, who promotes Commey, told The Ring on Friday that the fighter will be shelved at least six weeks. The Ghanaian will have a more firm timeline after he visits a hand specialist in New York, next Tuesday. Meanwhile, Lopez is scheduled to fight next on the undercard of the Terence Crawford-Amir Khan pay-per-view fight on April 20. One possible opponent: Talented British Olympian Luke Campbell, who would be a step up from Magdaleno. Thus, we’ll learn a lot more about Lopez in his next few fights. Is he destined to reach pound-for-pound status and become a face of the sport? Or is he merely a shooting star whose light will be dimmed if he gets to face the likes of Lomachenko?